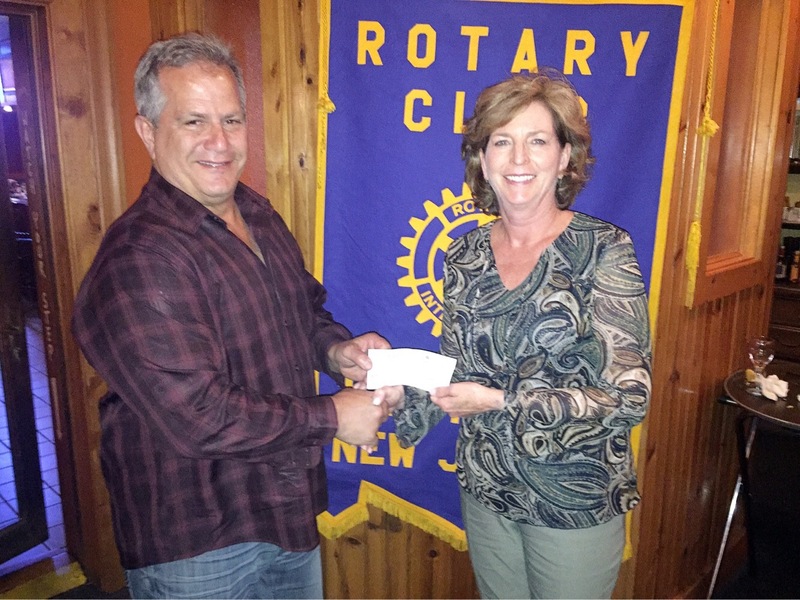 Joe Brown, president of the Hammonton Rotary Club, presents a check for $200 to Cassie Iacovelli, executive director of MainStreet Hammonton for the purchase of flowers for the downtown at Rotary’s April 17 meeting. HAMMONTON – The Hammonton Rotary Club welcomed Cassie Iacovelli of MainStreet Hammonton during its weekly meeting Monday, April 17, at Rocco’s Townhouse. Iacovelli updated Rotary members on MainStreet projects including the spring downtown cleanup and planting event, to which the club voted to make a $200 donation for the purchase of flowers. The 2017 Hammonton Community Cleanup and Downtown Planting will take place 9 a.m. to noon Saturday, April 29. Volunteers are invited to meet at the Historic Train Station, 10 S. Egg Harbor Road. Sponsors include Main Street Hammonton and the Hammonton Green Committee. Volunteers will receive supplies from the ACUA and students can earn community service credit. As part of the spring beautification effort, business owners are encouraged to place creative planters outside of their establishments, Iacovelli said. Learn more at http://www.hammontonrotary.org or http://www.downtownhammonton.com. Posted in News.Tagged beautification, donation, Downtown Hammonton, flowers.